Intel has announced the launch of the Intel Health Application Platform (Intel HAP), an application software platform that can be used by remote care solution providers to enable a variety of remote health care usage models. 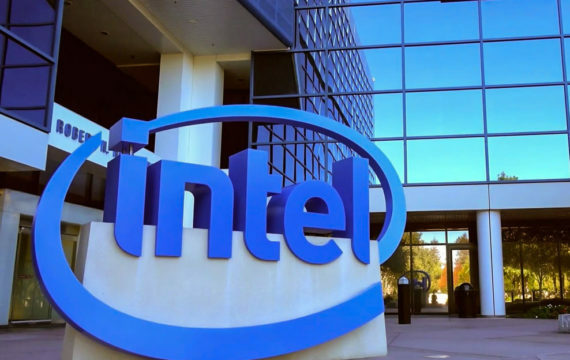 Separately, Intel Capital (Intel Corporation’s global investment organization) announced new investments totalling more than $60 million in 15 technology startups, active in industries like healthcare. Remote patient care encompasses a variety of care modalities that are provided to a patient outside of a clinical setting. The advent of the Internet of Things (IoT) has been a huge boon to the health care industry, and remote care is one of the biggest breakthrough advancements in modern health care delivery. Managing patients with serious or chronic conditions with remote care has been shown to reduce hospital admissions by 40 percent and readmission rates by 75 percent, and lower U.S. employer health care costs by as much as $6 billion annually. Despite proven potential, remote care adoption still faces challenges. For example, patients are able check their blood pressure or glucose level from home via their smartphones or tablets and send it to their health care providers for periodic evaluation. But while more convenient for patients, general-purpose consumer devices, and even connected devices created for a specific health care usage, can become unstable or unreliable as operating systems or applications are updated. Health care solution providers, hospitals and physicians also grapple with incompatible technologies, stringent regulatory and compliance guidelines, issues of data security and privacy, and pressure to reduce costs. The Intel HAP promises to address these critical issues for adoption of remote care by enabling health care solution providers to securely deliver a wide variety of services across an always-connected and ever-expanding health care edge, and to any cloud. To make the Intel HAP platform available to solution providers, Intel has collaborated with Flex – the Sketch-to-Scale solutions provider that designs and builds ‘Intelligent Products for a Connected World’, Intel writes in a press release. Flex collaborated with Intel to create an IoT compute engine offering an intelligent, connected edge device that provides wireless connectivity to verified peripherals like blood pressure and glucose monitors, pulse oximeters, weight scales and more. This innovative solution will enable health care solution providers to bring transformative remote care solutions to market. Once configured by the health care solution provider, solutions based on the IoT compute engine can work right out of the box. After receipt from their care provider, the equipment can be plugged in by patients and their families to get it up and running. Its user interface automatically displays a notice so users know when the battery needs charging. A bright light on the device confirms that data is being transmitted, allowing for hands-free use by users. The solution ensures data security both at the hardware and software levels. Additionally, hospitals and physicians will be able to retain ownership of the data that can be stored in and accessed through legacy infrastructure with their own compliance processes in place. Intel states it’s pursuing many efforts in the health care space, ranging from the IoT edge to the data center and cloud. By focusing on better management and use of data, Intel ishelping the health care industry improve care cost, quality and access by delivering care that is more personal, distributed and collaborative. To make further inroads in industries such as healthcare, Intel Capital recently announced new investments totaling more than $60 million in 15 technology startups, active in industries like healthcare. This latest group of new portfolio companies brings Intel Capital’s year-to-date investing to more than $566 million. The companies joining Intel Capital’s portfolio deliver technologies that leverage multiple facets of the data lifecycle – including analyzing, capturing, managing and securing data. These newly funded companies focus on artificial intelligence, 3D medical visualization, robots for retail, and cybersecurity inspired by the human immune system, among other technologies. Synthego (Redwood City, California, U.S.) is a leading provider of genome engineering solutions. The company’s product portfolio includes software and synthetic RNA kits designed for CRISPR genome editing and research. With next-generation informatics and machine learning, Synthego’s vision is to bring precision and automation to genome engineering, enabling rapid and cost-effective research with consistent results for every scientist. AdHawk Microsystems (Kitchener, Ontario, Canada) is revolutionizing human-computer interaction through ultra-precise tracking solutions that are smaller, faster and more power-efficient. AdHawk’s camera-free eye tracking system enables truly mobile data capture and paves the way for a new generation of highly immersive AR/VR experiences. EchoPixel (Mountain View, California, U.S.) develops 3D medical visualization software. Its True 3D system allows medical professionals to interact with organs and tissues in a 3D space emanating from a display, which enables doctors to identify, evaluate and virtually dissect structures. True 3D is being used at UC San Francisco, Stanford, Cleveland Clinic, Lahey Clinic and Hershey Medical Center, among others. EchoPixel technology amplifies human expertise and improves both clinical efficacy and workflow. Intezer (Tel Aviv, Israel) develops cybersecurity solutions that apply biological immune system concepts to the cyberspace, creating the world’s first “Code Genome Database,” by mapping billions of small fragments of malicious and trusted software. Through its DNA approach to code, Intezer provides enterprises with unparalleled threat detection and accelerated incident response.